Real estate investment management firm HomeUnion recently released their 2017 National Single-Family Rental Research (SFR) Report which says that 2017 will be a good year with an “unprecedented demand” for single-family rentals. Their comprehensive study ranks 31 metro areas based on market conditions, rental demand, prices, and other criteria. 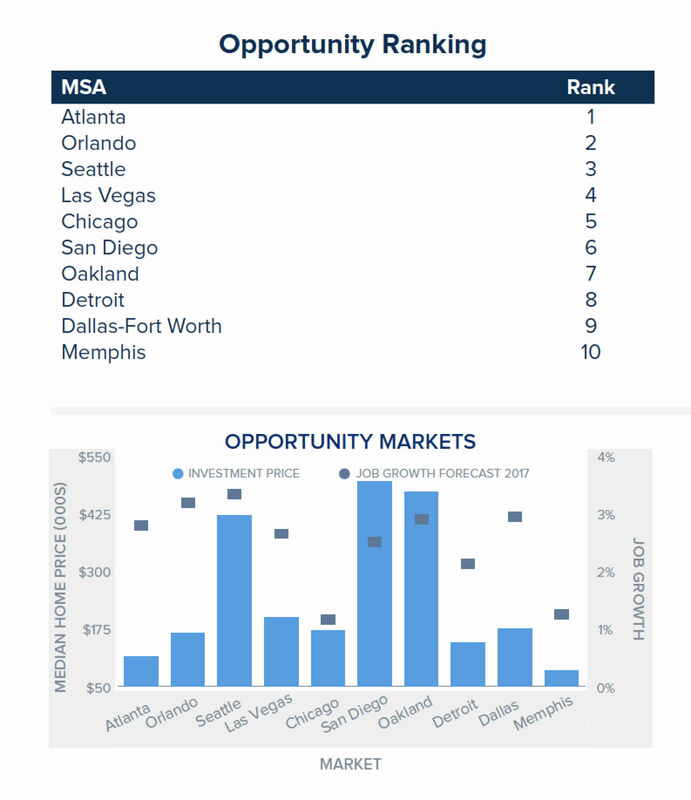 Most interesting, they’ve identified metros by an Opportunity Ranking that provides a strong balance of supply& demand fundamentals while offering favorable entry prices and limited threats. “The outlook remains positive for 2017…supply and demand for rental properties nationwide will result in another solid year for investors. The economic recovery will continue to generate hundreds of thousands of new households this year, creating an unprecedented demand for single-family rentals, especially as single-family construction levels remain tempered compared to boom periods.” Said Steve Hovland, director of research for HomeUnion and the lead author of the 2017 NSFR. 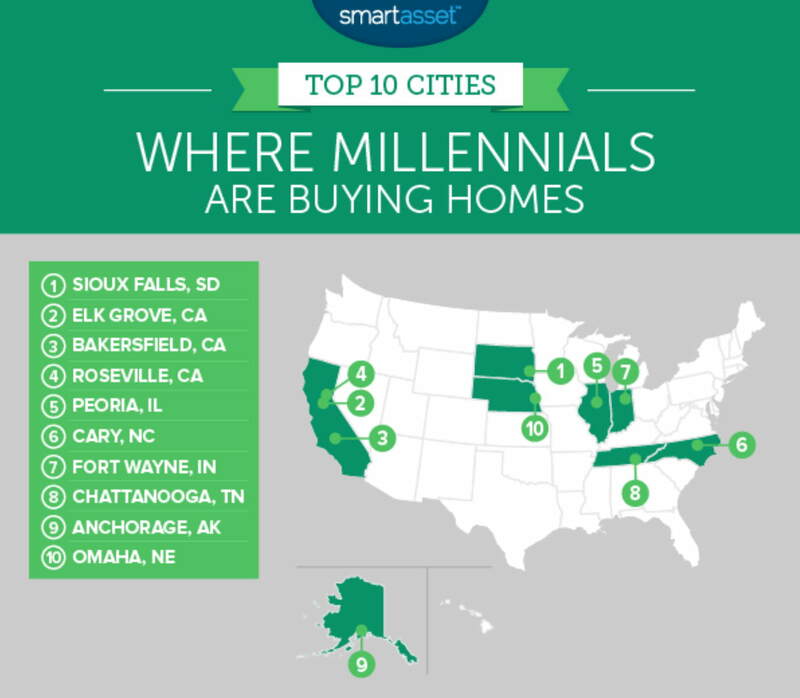 In some cities across the country, Millennials are actually buying instead of renting homes. 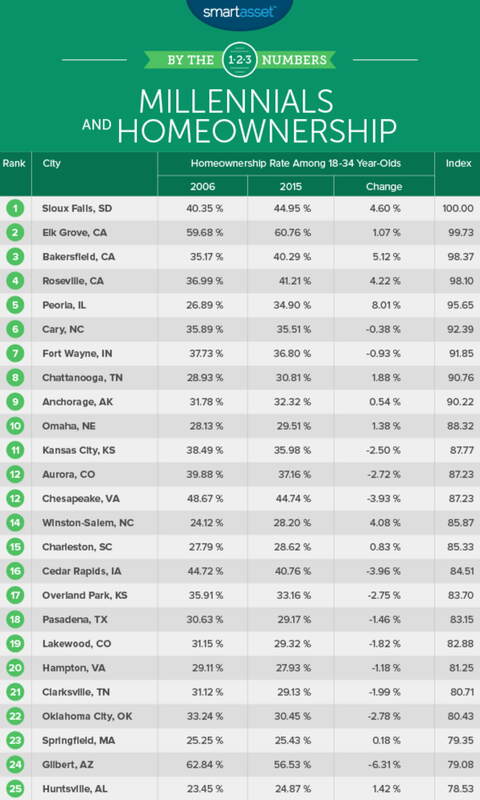 Using data from the U.S. Census Bureau, smartasset.com recently ranked 200 of America’s largest cities according to their under-35 homeownership rate (among other variables) and it changed between 2006 and 2015. Putting all this into some perspective, consider that homeownership rates for millennials dropped from 40% in 2006 to 32% in 2015. This month ATTOM Data Solutions, “curator of the nation’s largest fused property database,” released their 2017 Rental Affordability Report which says that buying a home is more affordable than renting in 66% of U.S. housing markets. The report used data from HUD, the Bureau of Labor Statistics and RealtyTrac on 540 counties with at least 900 homes in 2016. “While buying continues to be more affordable than renting in the majority of U.S. markets, that equation could change quickly if mortgage rates keep rising in 2017,” said Daren Blomquist, senior vice president with ATTOM Data Solutions, the new parent company of RealtyTrac. Click here to read ATTOM Data Solutions’ 2017 Rental Affordability Report. Early this month, Zillow recently released their list of what they believe will be the ten hottest real estate markets of 2017. Topping that list is Nashville, Tennessee, which Zillow predicts will see homes appreciating by 4.3% (Nationally, Zillow expects home values to appreciate 3% over 2017). For their analysis, Zillow looked at cities with quickly rising home values, low unemployment rates and strong income growth. “The growth and demand for housing will drive up home prices in 2017, and these hot markets are experiencing change as more people discover them.” Said Zillow Chief Economist Dr. Svenja Gudell. What is the purchasing power of women when it comes to buying a home? 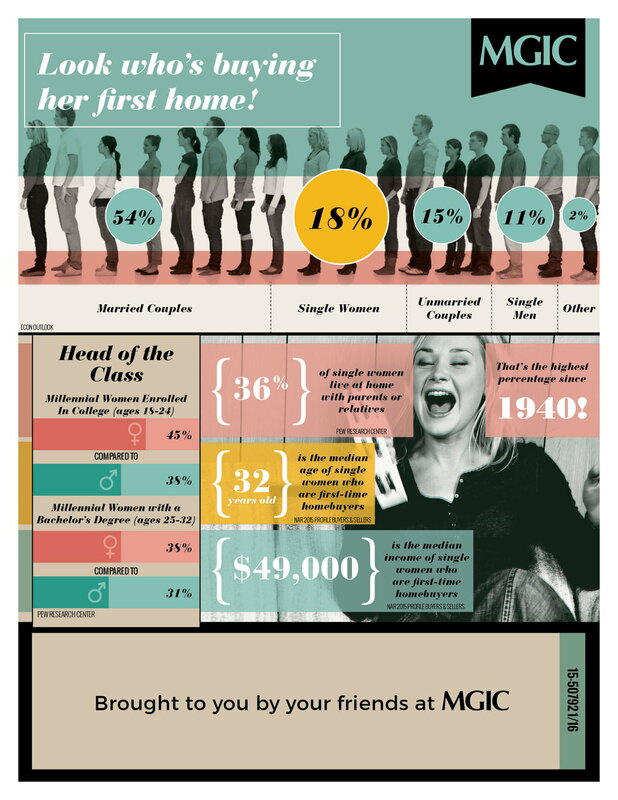 Mortgage insurer MGIC recently pulled together the following data to illustrate the purchasing power of women when it comes to homebuying. 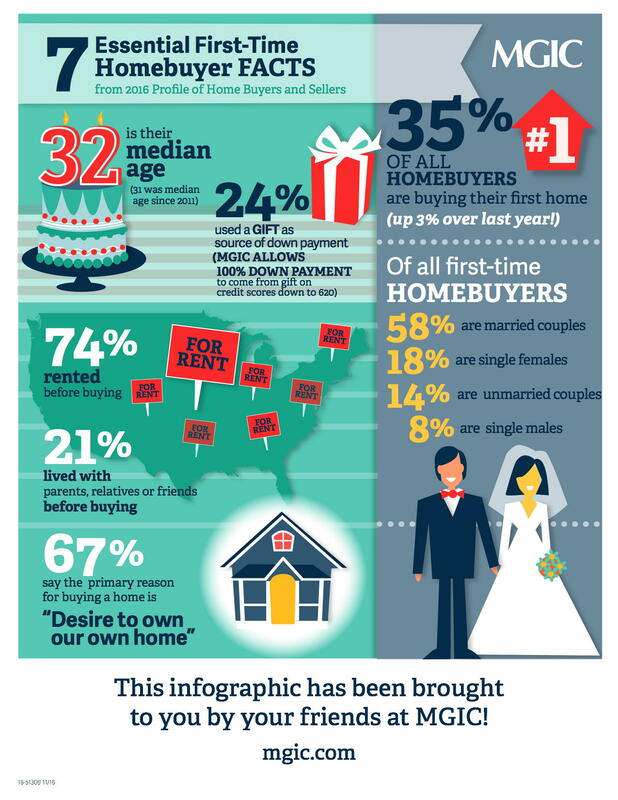 After all, the 2nd largest group of homebuyers, after married couples, are single women. Happy Friday! Click here to read the full story on MGIC. 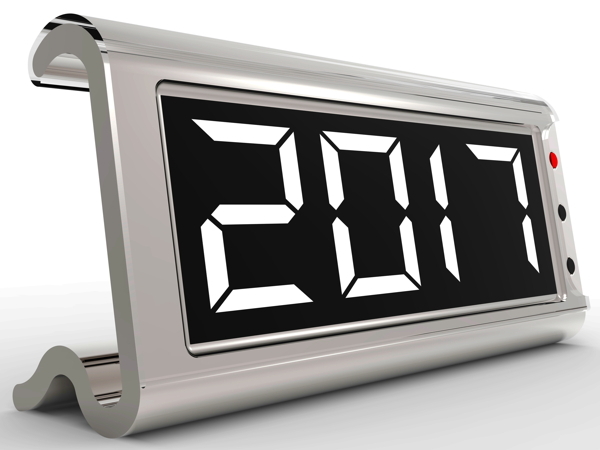 Five Real Estate Trends That Will Shape 2017? The folks over at Realtor.com recently came up with a list of five trends that they believe will shape the world of real estate in 2017. As in years past, their economic team analyzed economic indicators and market data to come up with their predictions for the coming year. Be sure to read the full article to get the gist of their predictions. Remember….everyone has a crystal ball. “With more than 95% of first-time home buyers dependent on financing their home purchase, and a majority of first-time buyers reporting one or more financial challenges, the uptick we’ve already seen may price some first-timers out of the market,” says Chief Economist Jonathan Smoke, who worked on the realtor.com 2017 housing forecast. Click here to read the full article on Realtor.com. This week S&P CoreLogic Case-Shiller released their National Home Price Index which showed that home prices rose 5.5% in September, year over year (up 0.4% from August). Their 10-City Composite posted a 4.3% annual increase and their 20-City Composite reported a year-over-year gain of 5.1%. 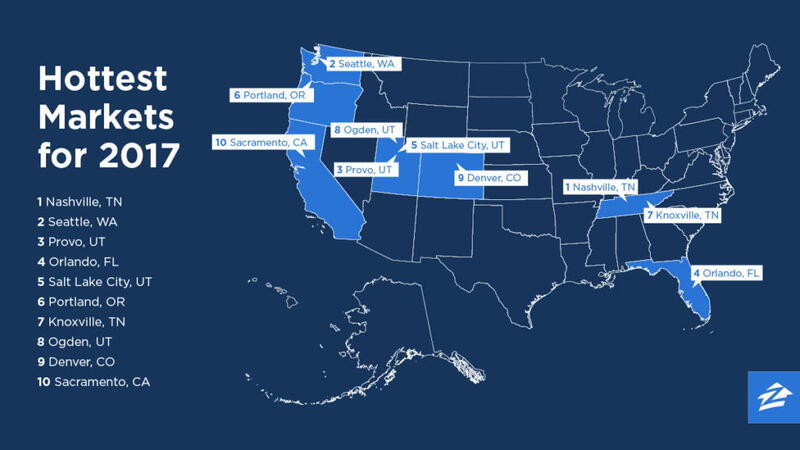 Seattle, Portland, and Denver reported the highest year-over-year gains among the 20 cities over each of the last eight months. 12 cities reported greater price increases in the year ending September 2016 versus the year ending August 2016. The National Association of Home Builders’ Eye on Housing recently reported that the 55+ housing market strengthened in 3Q 2016, according to their Housing Market Index. The third quarter results show single-family 55+ housing at 59 points, up 2 points from the previous quarter. This marks the 10th consecutive quarter that the number has remained above 50 on the single-family HMI. The NAHB produces two separate 55+ HMI’s, one for the single-family market, and another tracking the condominium market. The condo HMI was up 1 point at 48. Click here to read the full report at the NAHB’s Eye on Housing. 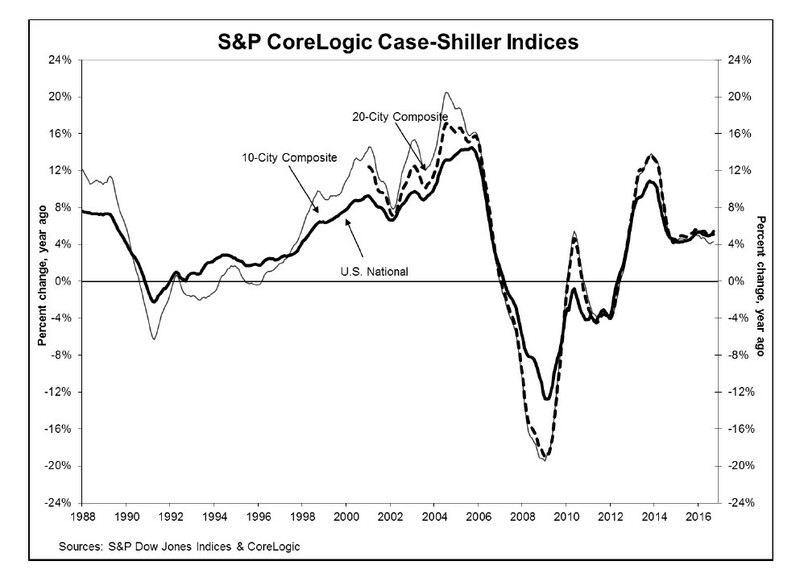 The latest S&P CoreLogic Case-Shiller U.S. National Home Price NSA Index says that for August, 2016 home prices continued to rise across the country. The report showed a 5.3% annual gain in August, up from 5.0% last month. In addition, their 10-City Composite posted a 4.3% annual increase, up from 4.1% the previous month and their 20-City Composite reported a year-over-year gain of 5.1%, up from 5.0% in July. “…While the stock market recovery has been greater than the rebound in home prices, the value of Americans’ homes at about $22.3 trillion is slightly larger than the value of stocks and mutual funds at $21.2 trillion.” Said David M. Blitzer, Managing Director and Chairman of the Index Committee at S&P Dow Jones Indices. Click here to read the full report on S&P Indices.